Microdermabrasion is the lunchtime peel that is the better alternative to many skin treatments. It is the safer, nonsurgical option to dermabrasion and the longer lasting option to facials. Anyone interested in getting this procedure should learn more about the steps, side effects and costs. Microdermabrasion is the process of peeling away the top layer of old, dead skin cells to reveal newer, healthier skin underneath. The procedure is recommended to people who want to get rid of wrinkles, acne and scars on their skin. It is performed using abrasive mechanical or electrical tools to rub off the skin cells gently. Many practitioners use a suction machine along with abrasive crystals or diamond flakes. Others combine chemical exfoliants like alpha-hydroxy acid peels to enhance the results. 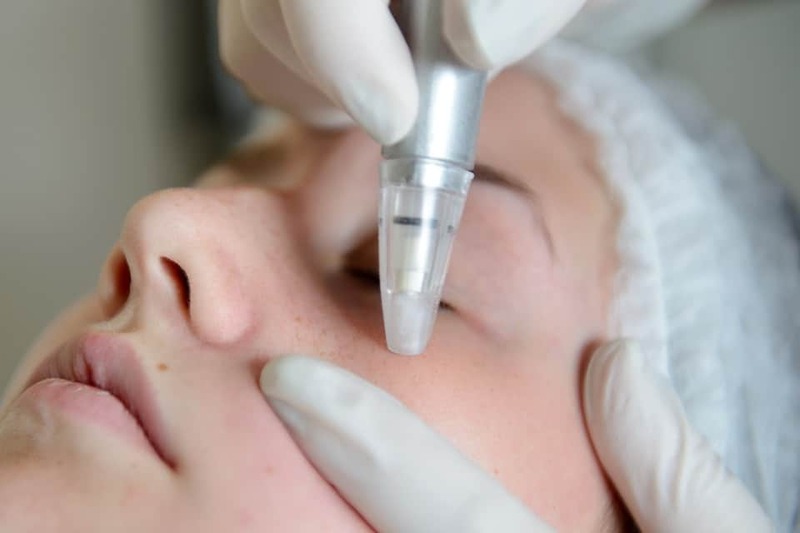 Known as a lunch hour treatment, microdermabrasion takes 30 minutes to an hour to complete. Some patients prefer to wear eye protection during this period. The skin is cleaned of makeup and other substances. A vacuum is used to pull up part of the skin and another component sprays crystals onto the surface. An abrasive device is passed over a section of skin until it’s thoroughly exfoliated. Two or four passes are usually required. The practitioner looks over the skin and ensure that there are no complications, which are very rare. Shortly afterwards, patients return home or to work. The side effects from a microdermabrasion are minimal because the procedure is noninvasive. Practitioners require no needles, lasers or scalpels to cut into the skin. They never use powerful sand blasters that strip away thick layers of skin quickly as if they were peeling an orange. Different dermatologists and skin care professionals charge different costs for the same treatment. The pricing depends on the complexity of the treatment, which includes the type of equipment and chemicals used, the geographic location and the professional’s level of experience. On average, the cost varies from $100 to $250. This cost does not include the series of multiple treatments that are performed over time. Everyone has heard of microdermabrasion. People are confused by the differences between dermabrasion and microdermabrasion along with the differences between a home kit and a professional treatment. Microdermabrasion is the better option to remove skin imperfections without spending a fortune. A professional treatment is ideal if you want effective results that last up to a year. Overall, this type of skincare option is effective in addition to being highly recommended by professionals and consumers alike.